Blizzard revealed lots of information about how the offseason will work. With the inaugural season of the Overwatch League concluding next month, Blizzard has revealed some new information on how free agency and Contenders rosters will work. On Aug. 1, just days after the OWL finals conclude, a signing window will open where teams can negotiate with their current players, affiliated Contenders players, and complete trades with other teams. Teams will have over a month to do so before all inaugural-season contracts expire, meaning any player without a valid contract as of Sep. 9 will become a free agent. From Sep. 9 to Oct. 7, Overwatch League expansion teams will have an exclusive window where they can sign free agents. Unsigned players will get to negotiate with all of the OWL teams on Oct. 8, the official start date for the entire league’s free agency period. Blizzard states that each team must have at least eight players under contract by the beginning of December, but they will have until an unspecified season deadline in 2019 to sign or trade players. The season deadline will also determine which players are eligible to compete. Any player that turns 18 years old before the deadline will be eligible to sign with an OWL team for the 2019 season. The Contenders series will also see some alterations. In addition to rosters being limited to eight players, OWL teams will be able to reach out to any Contenders players to arrange tryouts or negotiate contracts, provided they inform the player’s current team a day before doing so. OWL teams signing Contenders players may have to pay a buyout fee. In the first season, the fee was set at 25 percent of the player’s average annual base salary, but that fixed rate has been removed and a 100 percent cap has been instituted. In the 2019 season, teams will be able to designate players as eligible to compete in Contenders on an affiliated team, making them official two-way players. There is a four-player maximum during each stage, and those players must be identified before the stage. Without restrictions, this rule would very likely allow OWL teams to add even more players to the roster and use players in both leagues consistently. The league office has laid down some rules that will hopefully stop some of these potential issues, however. Firstly, two-way players will count toward the OWL 12-person roster no matter where they play, and they will count toward the Contenders eight-person roster when they compete for them. Two-way players cannot compete in more than two OWL matches in a stage or that player will lose their Contenders eligibility. No more than two designated two-way players can compete on the same team in a Contenders match and no player will be eligible to appear in Contenders and OWL matches in the same week. 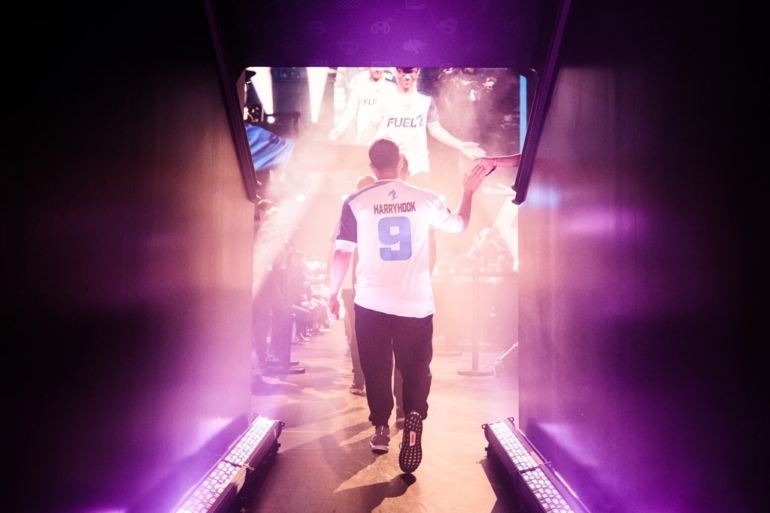 The first season of the Overwatch League has been an exciting one, but the end is drawing near. Teams like Shanghai Dragons and Florida Mayhem will need to make some big changes in the offseason to improve, and with these new rules, it will be interesting to see how they do that.